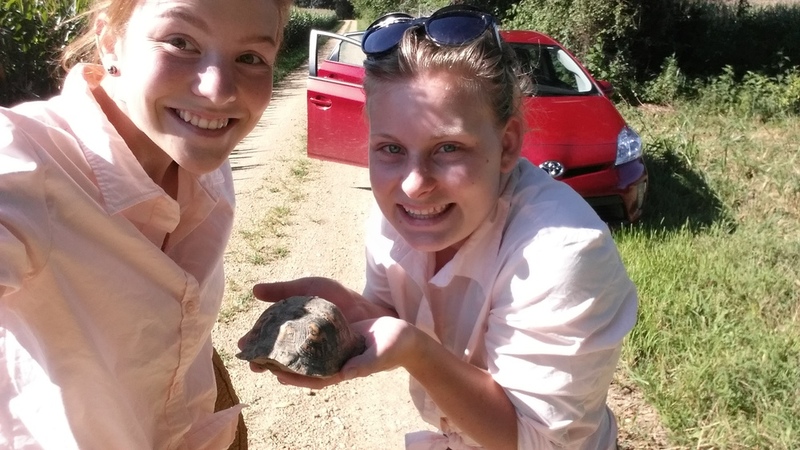 We found a turtle on the road. Picked it up. Wanted to keep it. Harold didn´t allowed us. Brought it back.